LONDON: 14 OCTOBER 2005 - Mercator Gold plc (AIM: MCR/MCRW) announces new drilling results and further planned drill programmes for the coming year. These results complement the recently announced resource statement of 690,100 ounces at Meekatharra. confirming this area as a high-grade exploration target. 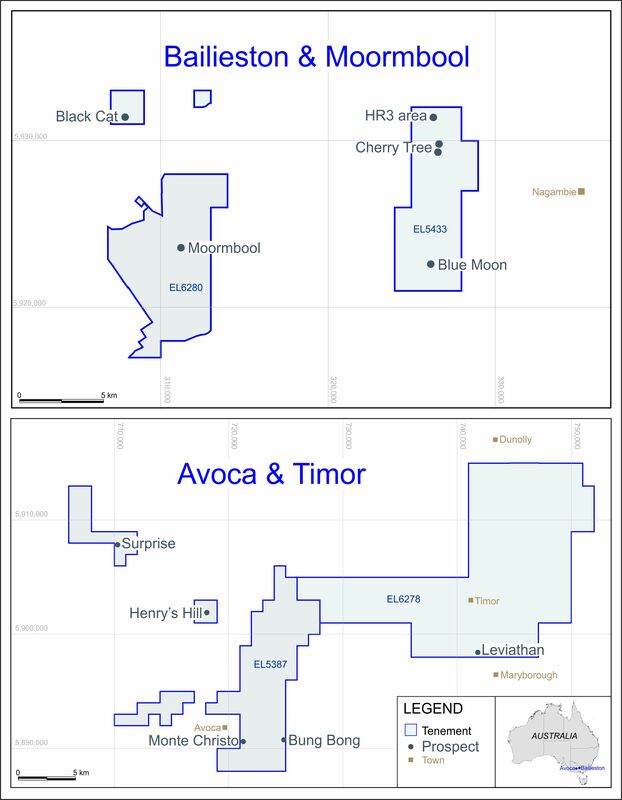 vThe company has confirmed continuity of mineralisation from Bluebird to South Junction. Drill results include 2m @ 14 g/t, 3m @ 1.4 g/t and 2m @ 1.4 g/t, each confirming lode positions. 2m @ 4.6 g/t at Stakewell. Add a further 500,000 to 1 million resource ounces to the existing inventory of 690,100 ounces during 2006. Commence gold production at Meekatharra during 2007. Following a review of historic data and the company’s drilling results; Mercator has determined three flagship projects for the coming year and a number of other projects on which it will continue exploration. The flagship projects are the “Bluebird Big Pit project”, “GNH High-Grade project” and the “Meekatharra North Oxide Ore project”. Bluebird Big Pit project: the company recently announced 5.2 Mt @ 1.9 g/t for 326,000 ounces gold, including 1.7 Mt @ 4.5 g/t for 214,000 ounces. These resources are within five lodes below and immediately adjacent to the Bluebird pit. Drilling data from Bluebird North and South Junction Pits (250m south of Bluebird) show multiple parallel lodes not already included in the resource and significant exploration potential between each of the pits as well as the eastern and western pit walls. Exploration will focus on developing these resources to be incorporated in an enlarged pit, encompassing Bluebird North, Bluebird and South Junction. Recent exploratory drilling at South Junction includes results of 2m @ 14 g/t, 3m @ 1.4 g/t and 2m @ 1.4 g/t, each confirming lode positions deduced from historic data and continuity in mineralisation. Bluebird is less than 1.5km trucking distance from the Bluebird mill. GNH High-Grade project:historically some of the highest gold grades have come from the Great Northern Highway pit. Data review and validation, SpaDiS™ analyses, geology mapping and reconnaissance drilling have been completed. Three holes were drilled into widely separated targets testing down-plunge extensions to mineralisation demonstrated in historic data. Results include 2m @ 18.5 g/t and 2m @ 13 g/t (referred to in the Annual Report), and new result 4m @ 5.5 g/t. These Great Northern Highway targets will be drilled in the coming months. The focus of exploration is on high-grade lode systems that may be mined underground with access from within the open pit. GNH is less than 1.5 km trucking distance to the Bluebird mill. Meekatharra North Oxide Ore project:the company has identified two zones of gold mineralisation, Maid Marion and Nottingham. Results previously released include 15m @ 1.6 g/t, 6m @ 2.2 g/t, 9m @ 1.4 g/t and 2m @ 11g/t. Mineralisation is from surface in deeply weathered material and the company’s drilling demonstrates vertical and lateral continuity. Mineralisation at Meekatharra North is less than 30km trucking distance to the Bluebird mill. The company will commence drilling to identify large open-pit resources with grades between 2g/t and 3 g/t. Additional resource drilling:In addition to the flagship projects, the company will conduct additional resource drilling at Surprise. At Surprise the company recently completed a resource evaluation with 141,000 ounces. The company has drilled two holes with a best result of 2m @ 5.5 g/t from 198m down-hole and has defined the extent of mineralisation at Surprise. The company will upgrade the Surprise resource to indicated category, and at the same time better define the high-grade zones in preparation for a mining feasibility study. Regional exploration:throughout the tenement package the company will continue to identify targets that may yield resources in 2007. Hawk Hill lies immediately south of both Meekatharra township and the abandoned Magazine pit. Recent drilling has results of 5m @ 13 g/t and 1m @ 10 g/t. The best gold intersections (including 6m @ 11.7 g/t and 15m @ 1.6 g/t in historic data) are at relatively shallow depths (<70m) in highly weathered and oxidized material indicating a potential open pit resource. Lukes Junction located 11km north of the Bluebird mill and gold processing plant, has an indicated resource of 201,000 tonnes @ 1.8 g/t for 11,632 ounces gold. The company targeted a possible SE extension to the mineralisation with results that include 2m @ 6.7 g/t and 2m @ 5.8 g/t. At Stakewell the company’s reconnaissance RC drilling achieved numerous 1 to 3 g/t intervals, with a best result of 2m @ 4.6 g/t. Drilling at Cassia failed to identify gold minerlisation.